I'm going to be honest, because, well, that's the point of this blog. This polish is let me down. 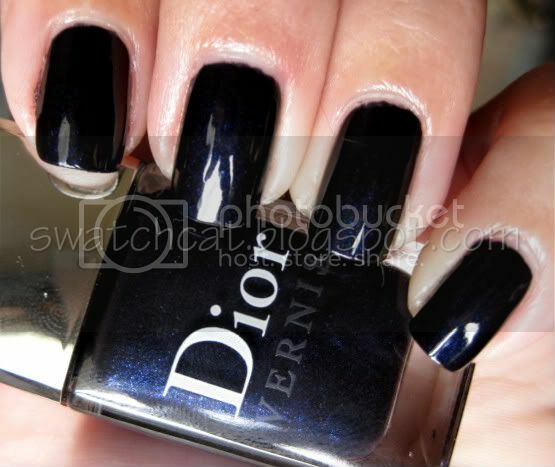 I was hoping for a deep navy with glowing blue shimmers. 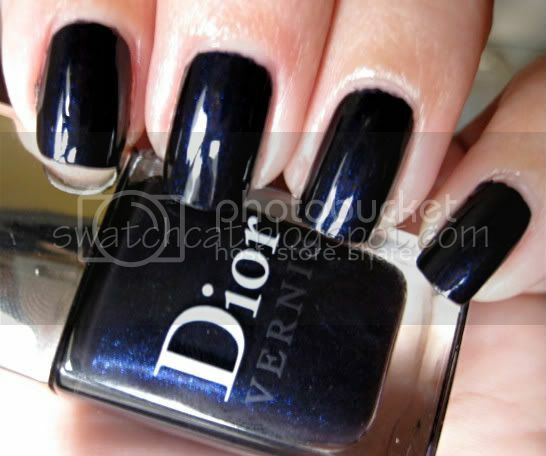 Something along the lines of OPI Ink, but more navy and a bit less shimmery. The bottle is deceiving, because in the bottle, that is exactly what Black Ink looks like. On the nails, it's another story. Instead, Black Ink is a nearly black base with subtle blue shimmers. The base basically looks black and it pretty much obscures the shimmers unless you're in the sunlight. Close ups after the jump. 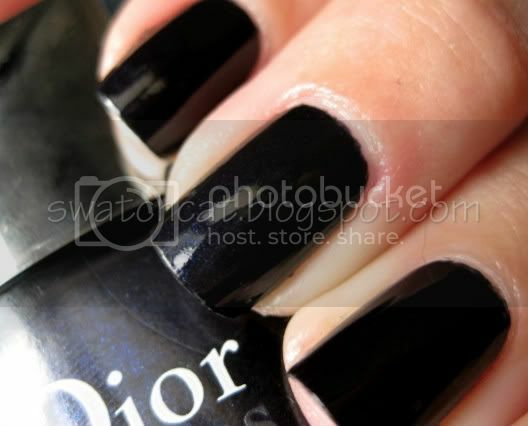 The formula of Dior polishes is fantastic, and this is no exception. However, if you were hoping for a true navy blue, I'd keep looking.